There are a lot of books out there about space and astronomy, often focusing on a particular area of research or perhaps sometimes a bit heavy on the technical side. What if you are looking for a book that is appealing to the general public, both visually and information-wise? Something ideal for newcomers to the subject as well as those who already have a good working knowledge about space exploration? Then the new book Your Ticket to the Universe: A Guide to Exploring the Cosmos is for you! This large-format paperback is packed full of gorgeous photos and information, taking the reader on a journey beginning in our solar system and then continuing out into our galaxy and beyond. Each chapter ends with an image gallery showcasing some of the most beautiful images taken so far by various telescopes and spacecraft. The concept is wonderful, and presents the wonders of space, from the beginnings of life on Earth to the marvels of the farthest reaches of the universe, in a way that is engaging and relatable but not too heavy or technical – you do not need to be a scientist to appreciate the beauty of the universe, and this book is an excellent way to share that knowledge. Highly recommended! 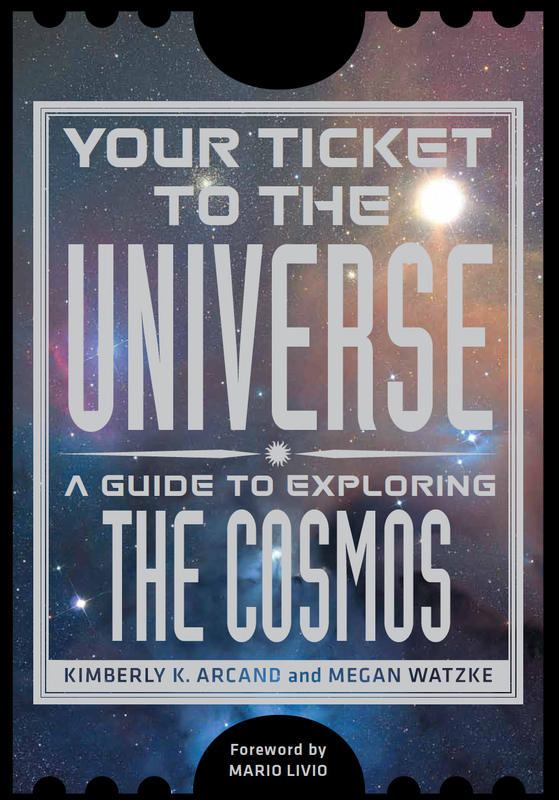 Your Ticket to the Universe is written by Kimberly K. Arcand, media coordinator, and Megan Watzke, press officer, for NASA’s Chandra X-ray Observatory. It is available as of today, April 2, 2013 at Smithsonian Books as well as Barnes & Noble and Amazon.com, so get your orders in! More information is also available on the web site.